Although there are many ways for patients to remove moles, skin tags, warts and other skin lesions, Dr. Mann has a reputation for removal of benign mole and skin lesions with minimal scarring. Based on years of experience with radiowave technology he has treated thousand of moles from all over the country from his La Jolla office. 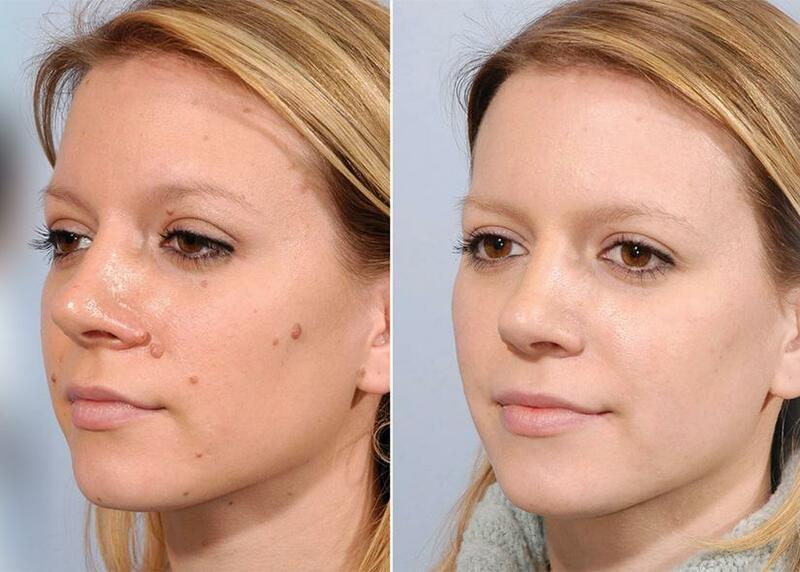 If you are looking for mole removal San Diego, you have come to the right place! Call today to schedule your mole removal consultation! Dr. Mann uses the Ellman Surgitron 4.0 radiosurgical device, the most advanced radiosurgical technology and the only radiosurgical device approved for operating room surgical procedures. When radiowaves are used instead of a scalpel or a laser, only the skin cells immediately next to the wire electrode are affected. Radiosurgery is more delicate and precise than laser surgery which can cause excessive tissue burns. Scarring is minimized or eliminated with radiosurgery because the skin is vaporized instead of cut. Dr. Mann uses a radiosurgical loop to shave the mole down layer by layer to the level of the surrounding skin. Most benign moles and skin tag lesions can be removed without any incision or stitches. Our La Jolla mole removal procedures eliminate the need for incisions and sutures, so the final scar is usually undetectable. Moles are usually small pigmented lesions on the skin that may be present since birth or acquired later in life. Moles come on all shapes and sizes, and can be brown, red, black or skin color. Most people have moles, warts, skin tags, pigmented spots and other lesions on their head, face and neck. Most of these growths are benign; however some lesions may be pre-malignant or malignant. Moles that change shape, texture, color, size or bleed should be examined and Dr. Mann recommends biopsy of any lesion that is pigmented or otherwise suspicious. 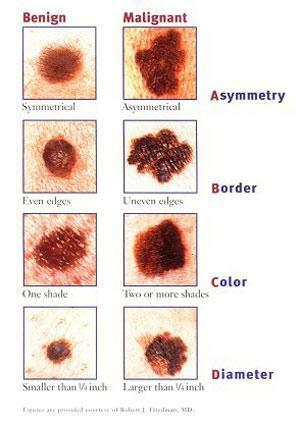 Every patient should examine their moles on a routine basis by following the simple A,B,C,Ds of examination & seek immediate professional examination if they notice the danger signs. You want to detect malignant melanoma as early as you can, which is an extremely malignant and potentially fatal lesion. For more information on how you can remove moles and skin tags, contact our La Jolla office today to set up a consultation. A: ASYMMETRY -- if one side of the mole is different than the other half. B: BORDER -- an irregular border. C: COLOR variation -- normal moles are usually uniform in color.